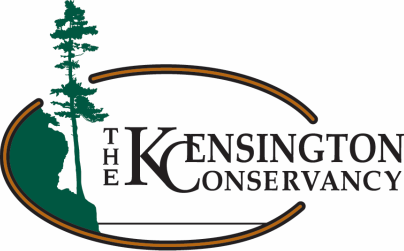 The cause of protecting plants and wildlife isn't something for land trusts like the Kensington Conservancy alone. You can lend a helping hand too. Whether as a landowner, an educator, or a citizen scientist, there is plenty the public can do. If there is anything else you are curious about, please do not hesitate to contact the Kensington Conservancy office and we will do our best to help you. Many species of plants and animals are a risk in Ontario. If you've seen a species at risk, please report it! For many species listed as threatened and endangered, the Ministry of Natural Resources and Forestry has developed recovery strategies to help species recover or to mitigate further loss. The Ontario Government and other organizations have funding available that could help you protect species at risk on your property. It can be very expensive and time consuming for scientists and technicians to collect data in order to estimate wildlife populations. Therefore, many volunteer based programs have been created so that you can contribute. Get involved in one of these programs and contribute to science! If you think you’ve seen an invasive species, make a report through ‪EDDMapS‬ Ontario or call the Invading Species Hotline at 1-800-563-7711. Since wood is used so much in our daily lives, it would be impossible to halt the practice of cutting down trees. However, there are ways it can be done sustainably in order to make sure there are trees left for the future and wildlife species are affected as little as possible.